This cookery skills shows how to make cracked pepper. Cracked pepper is derived from peppercorns as an ideal way to season steaks, pork chops, etc and is quick and simple to prepare. Place a few peppercorns in a bowl (preferably a metal one) and, using the flat end of a rolling pin) gently crush the peppercorns. You can have the pepper as coarse or as fine as you like. Using peppercorns is one way of adding taste to your cooking. There are lots of other great tasting spices you can add and we have all you need to know about cooking spices. 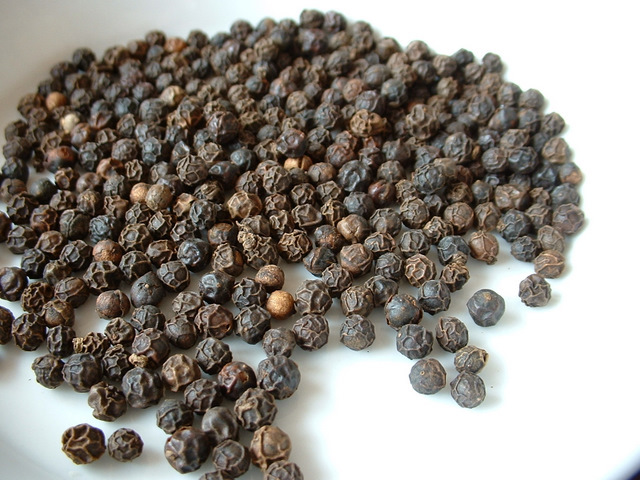 Black pepper is native to south India and other tropical regions – Vietnam is currently the world’s largest producer and exporter of pepper, providing around 34% of the world’s pepper (Wikipedia). Black pepper is the world’s most traded spice (Wikipedia), often paired with salt on the modern dinner plate.